High Sierra was founded in 1978 with the goal of providing outdoor enthusiasts with durable yet affordable gear. They are quite popular for their bags which range from casual totes for school to truly tough expedition backpacks. The brand manages to create award winning gear that is often far less expensive than competitors- without sacrificing quality. Big adventure calls for a big backpack and this massive 90 liter bag by High Sierra will hold everything you need for your next escapade. If you’re in the market for a new backpack capable of taking extended trips, you’re going to want to consider this model. The Long Trail 90 certainly has an impressive features list. Keep in mind that these features apply to the 2014 updated backpack, not the original. This bag definitely has details that will make the serious outdoorsman or gearhead happy but isn’t a complicated bag for new backpackers to use. It is fairly simple in design which is going to be useful if you’re out in the bush for a week or more. A huge advantage of the Long Trail 90 is how comfortable it is, despite being a unisex backpack available in only one size. Most men and women will find that this bag sits on their body well and doesn’t cause any soreness. The last thing you want to experience is an uncomfortable backpack when you’re packing a heavy load out in the backcountry. The foundation of this internally framed backpack is the durable pair of aluminum stays. This will stabilize your load and reduce back fatigue by directing the weight to your waist belt. The harness system, which is the brand’s Ergo-Fit, also helps to keep the bag properly positioned on your back. The Ergo-Fit system, which includes the shoulder straps and hip belt, is extremely comfortable but not overly padded or bulky. The shoulder straps, belt and back panel all have a combination of foam and Vapel mesh, which wicks away sweat and moisture. The back panel has additional Airflow channels which allow for plenty of air circulation. This feature is perfect for excursions in warmer climates. A big part of a backpack being easy to use is how accessible it is. The Long Trail 90 isn’t loaded with storage pockets like other bags but what it does have is plenty. The main compartment has zippered access from the front and there is a separate sleeping bag compartment which is accessed from the bottom. This is a great feature as it makes finding gear in your main compartment much easier. It also protects your sleeping bag from damage. The top lid isn’t removable but the pocket has plenty of room for storing small items. It also has an expandable collar. Aside from these main compartments there are also front and side pockets for additional storage. As mentioned earlier this backpack is hydration reservoir compatible but if you prefer bottles, you can pack them in the mesh side pockets. If you do use a reservoir there is a port for the tube and a separate pocket for holding the bladder within the main compartment. There are also daisy chains, loops and tabs on the exterior of the bag that give you room to attach other gear and tools. A datable media pocket on the shoulder will keep your phone, GPS, radio, etc. safe and within easy reach. With 90 liters of capacity there is plenty of room to pack your sleeping bag, a tent or hammock, food, a cooking kit, clothes and other necessities for trips a week or more in length (depending on your climate and own preferences). With its weight and sheer size, obviously this backpack is just too much for short weekend trips. Overall the Long Trail 90 is quite durable, despite its low price. The ripstop and ballistic nylon used really makes this backpack stand up well to abuse. It doesn’t show age very quickly either, even after being stored in the off-season. Although the backpack is said to be somewhat water-resistant (maybe only in a light mist) you will want to use the attached cover if you are caught in rain or snow. 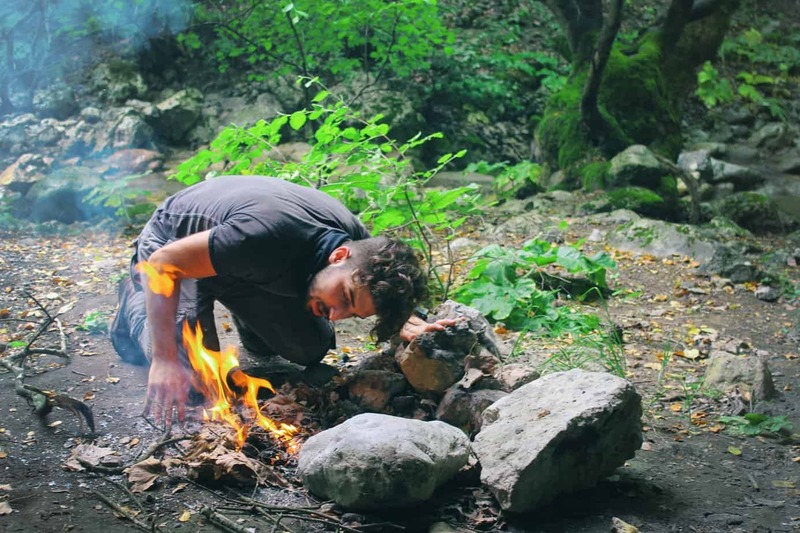 The rain cover also performs well as a protective barrier if you are hiking along rock or going through dense, wooded areas where your bag may brush against trees or bushes. All in all the Long Trail 90 really has a lot going for it. You get a ton of room for your gear wrapped up in an ergonomic design that will keep your back happy. The bag is quite affordable but should also last for a few seasons of regular or heavy use. Despite all of the advantages, there are two potential problems to keep in mind if you are seriously considered this model. Being a one-size backpack it’s no surprise that fit can be a bit tricky. 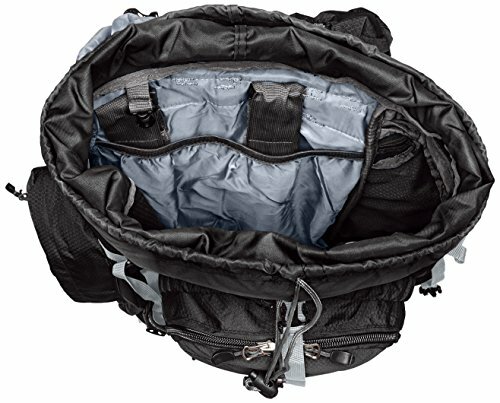 Although the backpack harness does fit a wide range of people thanks to its adjustability, it’s the waistbelt that seems to cause some issues. Even average sized men find that the belt really has to be tightened down to fit. If you are very slender man or woman, you might not be able to get the waistbelt tight enough without making modifications. Another issue with the Long Trail 90 are the buckles. While the buckles are strong enough to stand up to normal wear-and-tear, they could have been a stronger material. 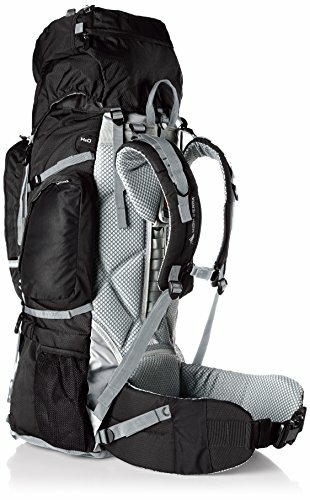 Similarly, if you really carry a heavy load in this backpack you may find that the straps slip a bit while traversing the backcountry. Just like the waist belt issue, this can be fixed by making some modifications but it’s still worth noting. 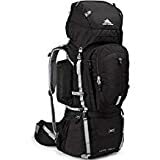 For everything, you get in this backpack, and the budget-friendly price for its 90-liter capacity, these two complaints certainly don’t outweigh the numerous advantages. 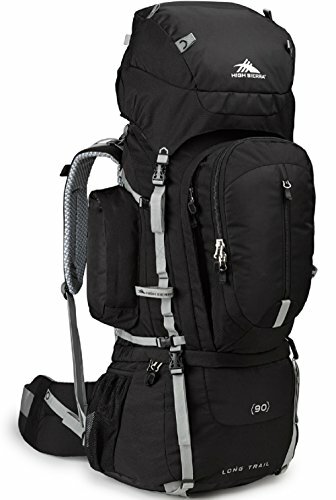 If you’ve been struggling to find a backpack that can handle long excursions but won’t break the bank, the Long Trail 90 would be an excellent choice.